Sending flowers in a corporate environment can be an excellent way to celebrate a momentous occasion, express your gratitude, or commend someone for a job well done. However, to remain professional, it’s imperative that you only send flowers during specific occasions to avoid controversy. To ensure you’re following the proper office etiquette, here’s a useful guide to hiring a corporate flowers service. The right time to send flowers from a corporate flowers service comes down to two factors — the recipient and the occasion. Appropriate occasions can include anything from a birthday or new baby to a retirement or a loss. Regarding the type of flowers to send, that will depend on the occasion as well. For example, white roses are a common sympathy gift, so they’re appropriate in the event of a death. In the case of a joyous occasion — such as a birth announcement — a colorful bouquet of tulips would be ideal. If you don’t have a specific occasion or purpose for sending flowers, it’s probably not a wise decision. While you intend for it to be a kind gesture, it could be misconstrued as inappropriate. In particular, red roses are off-limits, as they symbolize love and can send the wrong message. Yellow roses, on the other hand, symbolize good health and friendship, making them an excellent platonic and professional flower choice. Who Should You Send the Flowers Too? There are several people in the office you may wish to send flowers to, from co-workers to your boss. When it comes to co-workers, sending flowers for a birthday or promotion is an excellent way to make them feel appreciated. It can be a bit more complicated sending them to a boss, as you never want it to be perceived as having an ulterior motive. Skip events such as birthdays, which may come across as too chummy; focus on professional events, such as a retirement party. 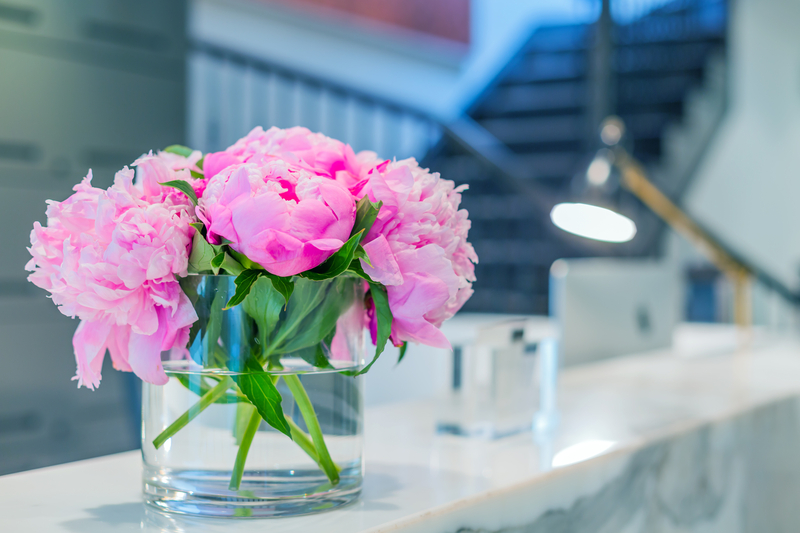 If you’re in the market for a corporate flowers service, look no further than Madison Avenue Florist Ltd. Conveniently located between Madison and Park Ave, this family-owned and -operated florist offers the freshest, best quality flowers for both corporate and personal occasions. Whether you’re looking to brighten someone’s day with birthday flowers or express your deepest condolences with sympathy flowers, they’re your go-to florist. To design your arrangement, give them a call today at (212) 319-0242 or visit their website for more information.